Watch a documentary about people who lift weights and you’ll likely be watching some of the world’s elite body builders hone their physique to abnormal largeness. But take a peek into your local gym and you’ll see something quite different. Sure, there may be a handful of body builders there, but they’re lifting right next to an accountant, a store clerk and a retiree. That’s because all these people realize one thing: lifting weights is for everyone. Yes, exercise of any kind gets the “happy chemicals” running through your body, but lifting weights seems to have an advantage on your happy level. Why? Some of the top reasons compile the rest of this list. You were born with a great affinity to do something. You may be gifted at arguing cases in court, cooking amazing meals or keeping cool while caring for a dozen five-year-olds. Lifting weights helps you do what you love better because it makes everyday movement easier. On top of that, it gives you the capacity to lend a helping hand when someone is struggling to lift a heavy box or open a stuck door. As your strength and the amount of weight you lift increase, intense focus is required to avoid injury. This focus in the gym—if you let it—will carry over into your non-gym activities. Lifting weights does so much for your physique. Push yourself hard enough and your body will amaze you constantly. But your physique isn’t the only beneficiary of weight lifting. Lifting helps your body fend off illnesses and injury by helping you shed unwanted pounds, lowering your blood pressure, improving your heart function and more. When you start lifting weights, you can’t imagine lifting any more than you do in your first session. Three weeks later, you’ve already passed the “impossible” mark. By doing this over and over, you pick up a mental toughness and confidence that will aid you in all areas of life. 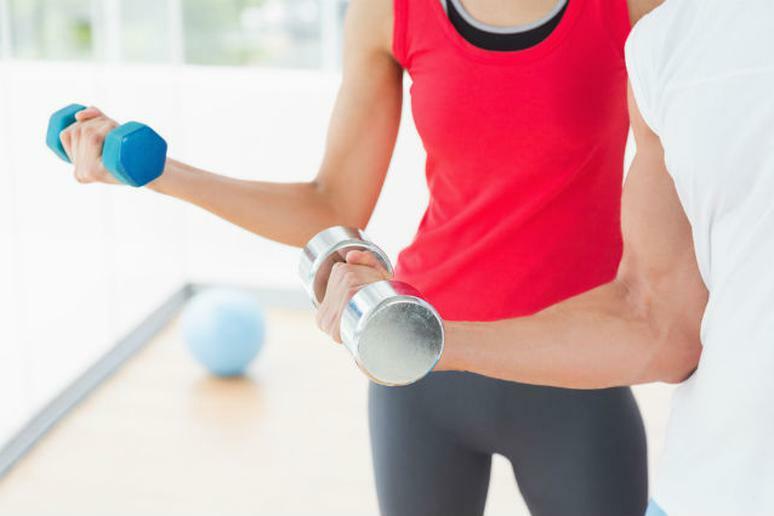 While the first thing you may notice after lifting weights is stronger muscles, your bones are also secretly gaining strength at the same time. Since the risk of osteoporosis and broken bones only increases as you age, guarding against them with weight lifting only makes sense. Staying on your feet may not be an issue today, but as you age it will become one of your top priorities. This is especially true considering how often elderly people lose their balance and wind up with life-altering broken bones. Lifting weights at any age will give you a balance boost that will last throughout your life. Believe it or not, people who lift weights aren’t the meatheads they’re made out to be. Quite the opposite, actually. Research has proven that lifting weights actually has the power to improve your brain’s ability to do its job.